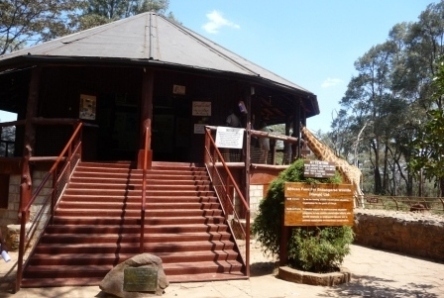 Located right in the heart of Karen is the Giraffe Center, a non-profit organization. We picked a day during the week, as we heard that the weekends are a bit crazy and it turned out beautifully. The weather couldn’t have been better and the giraffes where in a lovely mood. 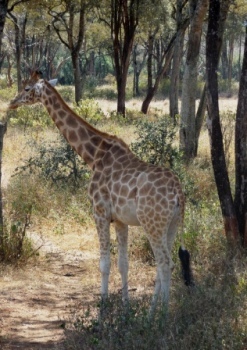 It’s something to experience having these huge animals bend their necks down to pick little food pebbles off your fingers to eat with their long tongues. I tell you, it makes one feel slightly tiny and very respectful and in awe for how majestic these animals are. It was such a relaxing, tranquil atmosphere that made us linger for a long time. Just sitting there, having a cup of tea/coffee/beer and observe is such a peaceful thing to do after the hustle of a day in the city. Right across the center is a small fenced forest area with trails and I can only highly recommend it, if you have the time. You can observe an astonishing variety of birds and the whole area has something absolutely spiritual about it, if you can call it that. 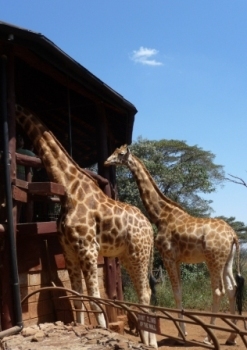 The Giraffe Center is easily to navigate and the best way to start is to head to the 'outlook' and education center. Feed the Giraffes!! You simply have to! There are little dispensers where you can purchase a handful of these treats they like. 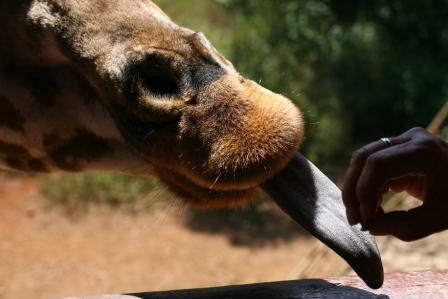 Being so close to a giraffe is an amazing thing and being able to touch them! Kids are especially fascinated by the encounter. 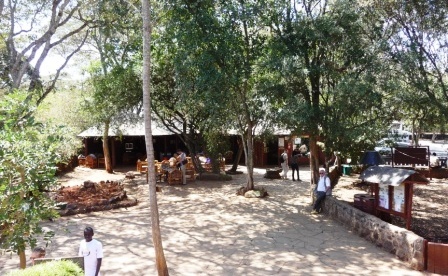 The grounds of the Giraffe Center are very inviting to sit and relax. 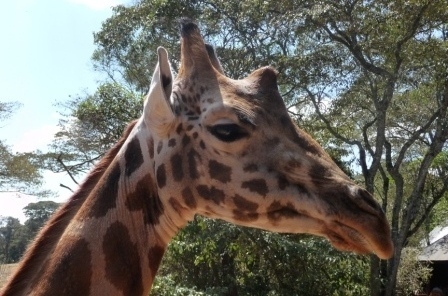 Have you been to the Giraffe Center? Please share with us! 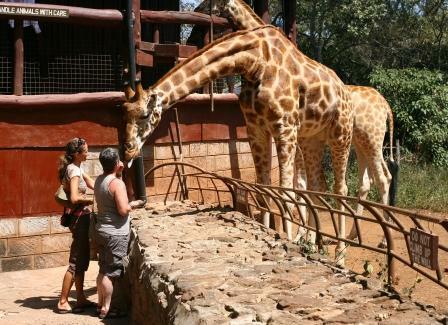 And if you are interested in visiting the Giraffe Center or looking for a great Deal on a weekend away, please have a look!